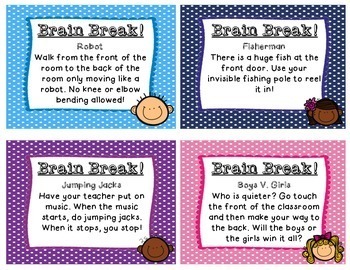 44 Colorful Brain Break Cards! 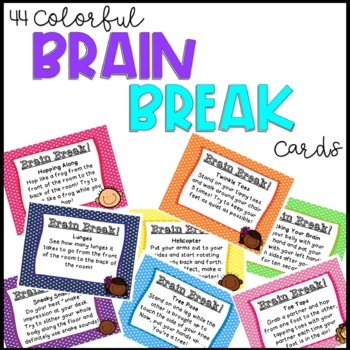 These 44 colorful cards are great to use as short breaks in between lessons, when students’ brains need a quick break. You may print, laminate, and cut these out and put them in a box or jar, hole punch them to put on a ring, or display them on a wall or board to have your students choose!